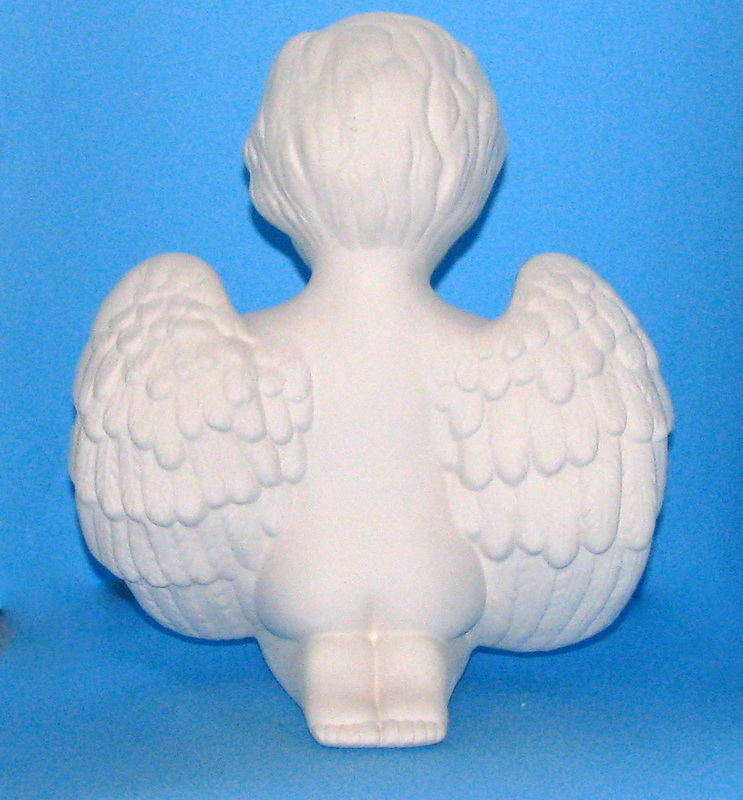 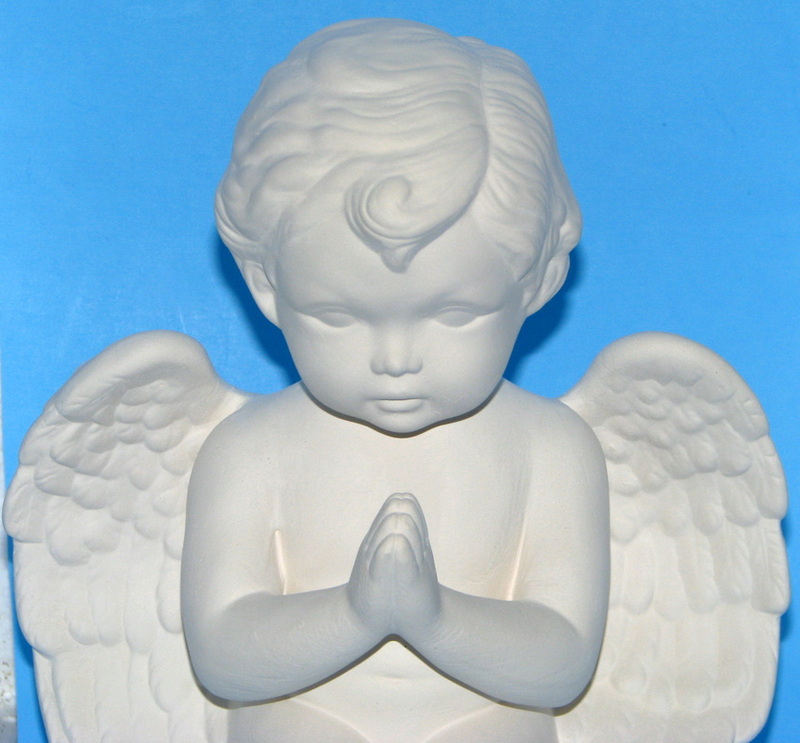 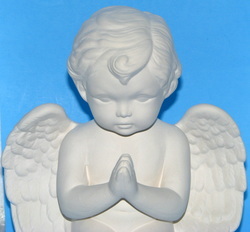 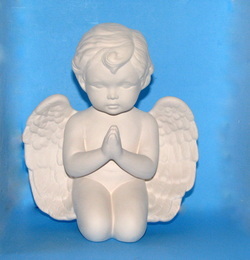 Ready to paint ceramic kneeling cherub. 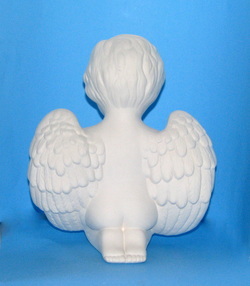 Lovely as an elegant decoration or to be placed on the final resting place of a loved one or pet. Paint it yourself for that personal touch. **This piece is hand made in my studio: we pour the mold, sand the item of any imperfections, and then fire in one of our studio's kilns. 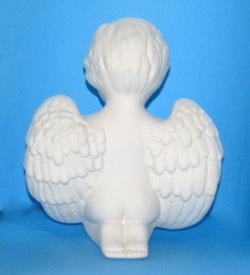 I also offer this item painted, message me for details.